Taken with a Sony Cyber-Shot, automatic setting when I get close to things. Do you have any tips on macro photography? That is a great shot and could be an entry for the ‘unfocused’ photo challenge of the week… the unfocused background makes the subject stand out even more. I too use a sony cyber shot and I am happy with the images it produces (this is our 3rd one!). The only thing I wish it had was more zoom to get those shots far away, but the macro is fantastic. I’ve been having a great time with the macro on my camera. ANd I agree, I too wish the zoom was better. DId you see my unfocused entries? I posted three! Hey, I really liked the photo. It may have had an interesting look if the leaves were out of focus as well and the only object in the depth of view was the round green peice. I was wondering if you could share what the settings of your apature and f-stop were? What a fun picture; I love it. I’ve never seen fig leaves on a happy tree before, or at least not so young. The texture you captured is so evocative that I now understand why Matisse used gouache to paint them… 🙂 Thank you! Thanks Alice. 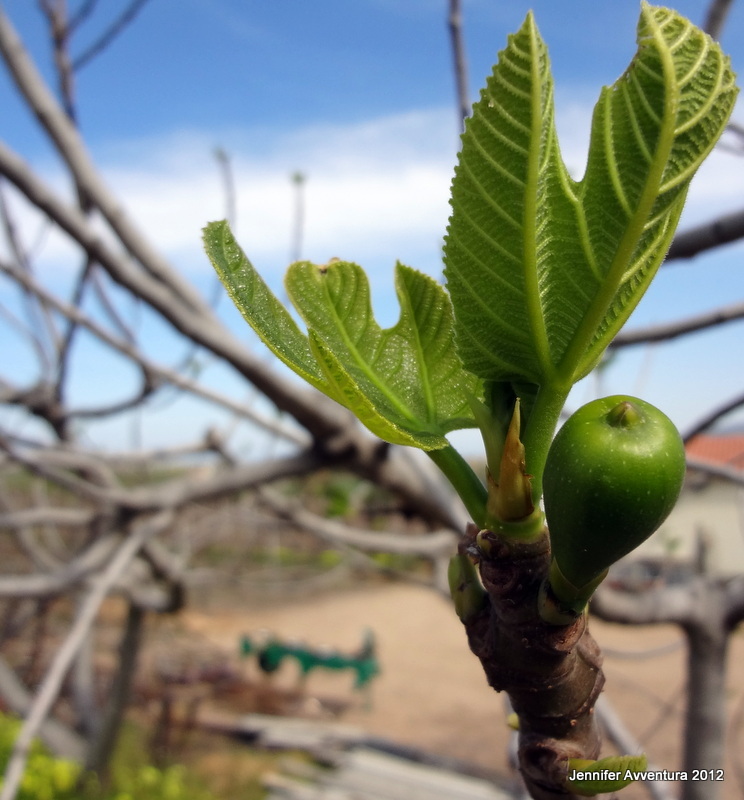 Sardinia is blooming with figs at the moment! Can’t wait for them to be ready! Great photo, I know someone who is drooling right now! This photo I took several months ago, then we had grey rotten skies for what seemed like an eternity. Finally today it cleared up! I think “don’t under estimate the lowly digital camera” 😉 Cool shot! I think you’re right! They are not so lowly anymore, being packed with fantastic options takes the beginner out of photography! I love the photo! It looks perfect to me. I know nothing about photography, but I love this shot. My partner planted a fig tree in our back garden last summer, and it is at about the same stage of budding/blooming so far this spring. Bet you get some great figs there where you live! Thanks so much for stopping by my blog today. It was fun having you!